Sedje Hémon (1923-2011, born Sedje Frank) was a Dutch visual artist and composer, who, throughout her long career, developed a distinguished and individual artistic voice both with her paintings and compositions. Sedje Hémon’s theory of the “integration of the arts” aimed to prove the common origin of all arts. To put this theory in practice she developed a method to generate musical scores directly from her paintings. Various musical parameters (such as duration, pitch and timbre) would be extracted based on the points along the lines and curves of the paintings. This approach resulted in a body of approximately 300 paintings, some of which were later turned into musical scores for internationally acclaimed ensembles. In addition to painting and composing, she was an educator – Hémon introduced the pan flute to the Netherlands (which captured her interest during her visits to Romania and Greece). She started the first pan flute school in the Netherlands, developed and published a teaching method, and made recordings with Romanian musicians throughout the 1970s and early 1980s. Throughout her career, Sedje Hémon worked with a variety of artistic mediums and produced a large body of paintings, compositions, lino-cuts, cut-outs, and sculptures. She also invented various medical devices and corrective prosthetics, and in her later years developed a method to treat and cure repetitive strain injuries. Born 12 April 1923 in Rotterdam, Sedje Frank (artist name Sedje Hémon) moved to Scheveningen, and The Hague, where she spent most of her life. Sedje Hémon began her musical training in 1932, which would form the basis for her subsequent pictorial and musical compositions. Throughout her teenage years she contributed to the family income with her corset designs and orthopedic articles, “accurate to the millimeter”, as she later described them. During WWII, she joined resistance groups and was arrested in 1944. She was deported to multiple concentration camps, including Auschwitz, where for her survival she played the violin in the camp orchestra. Physically debilitated, she spent 1945 to 1948 in Dutch hospitals, recovering from a number of serious diseases and physical problems, the result of her time in the camps. She utilized those long days to continue her studies of art, music theory, and violin. By 1953 she realized she would have to give up her violin studies because the physical effort was too great. In her own words, “I would never have come to put my ‘expressions’ on canvas, if I could have continued with the violin.” She debuted as a painter in 1955 in the Salon des Réalités Nouvelles group exhibition Comparaisons, at Musée d’Art Moderne de la Ville de Paris. This marked the beginning of an exhibition phase especially active throughout the 1950s and 60s. Meanwhile, her precarious state of her health meant that beginning in the 1960s she spent many cold Dutch winters in the warmer climates of Greece and southern France, where she also met and worked with a number of local art and music professionals. This resulted in a number of exhibitions and performances in Athens and other cities. Her close contact and friendship with Romanian musicians in the mid-1960s also triggered her interest and devotion to the pan flute. In 1977, she inaugurated the first pan flute school in the Netherlands, aiming to promote the instrument within classical music and its study. Intellectually curious until the end of her career, Sedje Hémon collaborated with artists and professionals from diverse fields. In the 1990s she began working on virtual reality models to make walk-through galleries of her work online. 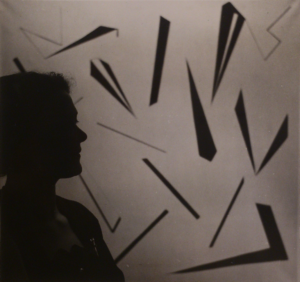 Prior to that, and many years before such software emerged, she noted her eager anticipation for computer programs that would help her transpose her visual scores into conventional musical scores. Towards the end of her life, she developed a therapeutic technique to treat and cure repetitive strain injuries. Sedje Hémon was active as an artist, composer, educator, and inventor until her death in 2011, The Hague.